Ruffin is a beautiful young male with tight locks and luster all the way to the skin. He has a buttery soft fleece with everything Suri breeders strive for; fineness, slick coolness, density and glow in the dark luster. 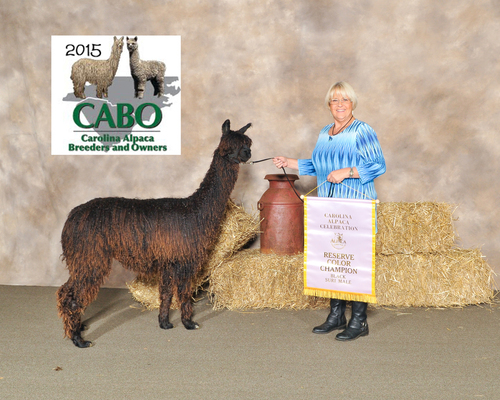 His grandsires, Kalvin and Balboa, should tell you all you need to know about his genetics! 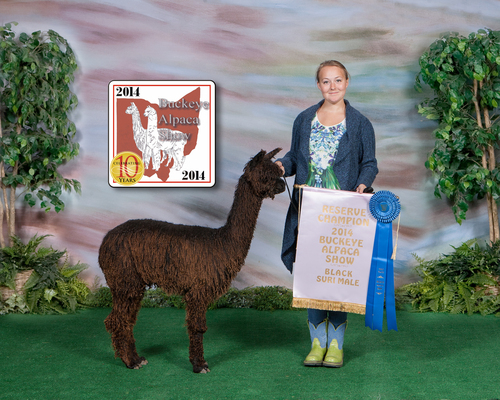 He did well in the show ring winning 2 Reserve Color Championships! 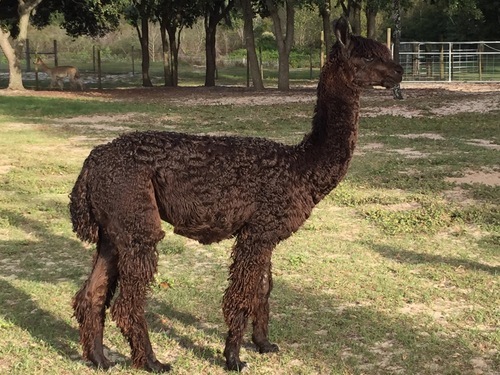 Ruffin will make a very nice herd sire for any breeding program looking to add some rich dark color.